Red Montage Mini Dab Rig from Germ. 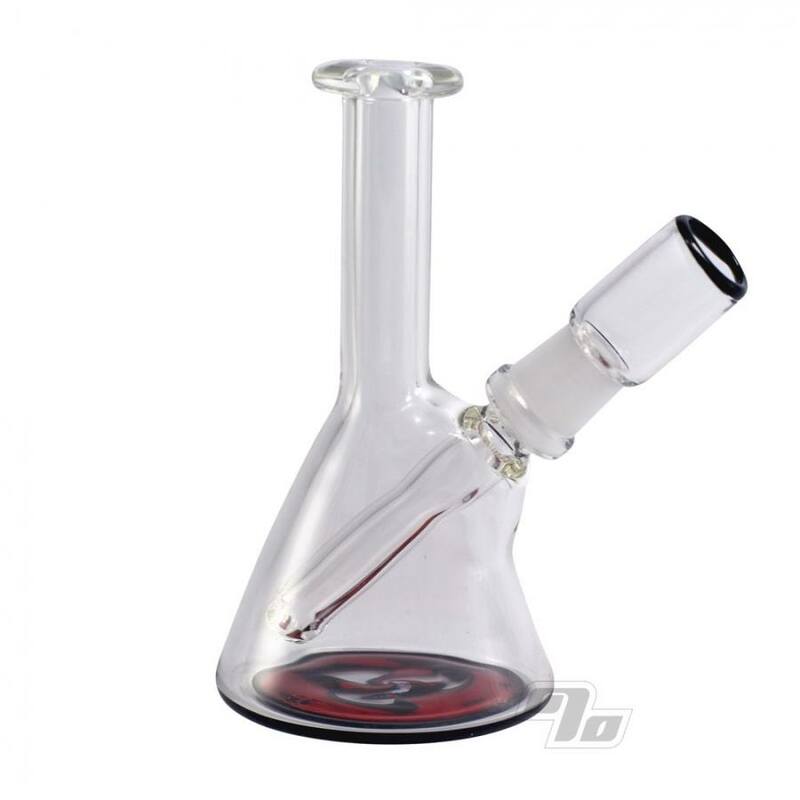 This glass oil rig has a 14mm fixed stem with ground glass joint and accented glass dome. Limited Time: Every Montage Mini Rig includes a Free PukinBeagle Quartz Nail and Free Huffy Glass Reverse Slide to get you started dabbing yet still cover flowers (you never know).